Art By: Béla Török is an incredible Hungarian photographer. You can find his work at Red Bubble and his greeting cards are both affordable and spectacular! Like to learn things on your own? Check out Self Taught 100! I love the rhythm you chose for this rhyme! It’s always a joy to get positive feedback! Thanks so much!! 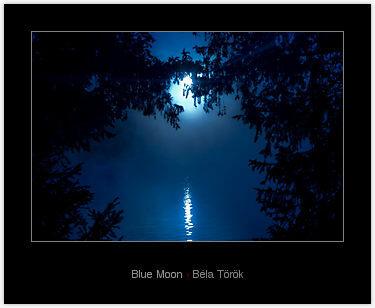 You are currently reading Béla Török – “Blue Moon” at Art By and Words By Blog.